Former New Zealand centre Regan King will leave Scarlets when his contract expires at the end of the current season. 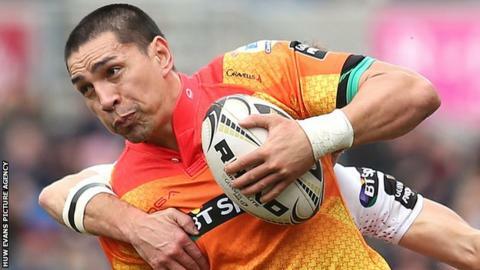 The 35-year-old is in his second spell with Scarlets having first joined from Stade Francais in 2005. King left Scarlets to join Clermont in 2011 but returned to Parc y Scarlets three years later. He has scored 35 tries in 185 games for Scarlets and hopes to prolong his playing career. He made his only All Blacks Test appearance against Wales at the Millennium Stadium in November 2002. King also played for Waikato and Super Rugby side Chiefs in his homeland. King played alongside his son Jacob Cowley for the Scarlets against Newport Gwent Dragons in October 2015, becoming the first father and son pair to play together in the Pro12.